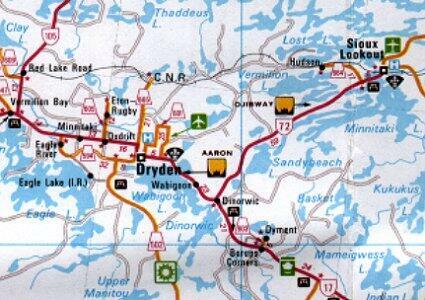 - (1998) Adjacent to Pelican Lake, 13 miles (by road) to the town of Sioux Lookout. The station was located 43 miles north of the junction of highway 72 and the Trans-Canada highway. Map 1 is courtesy Ontario Tourism. Used with permission.